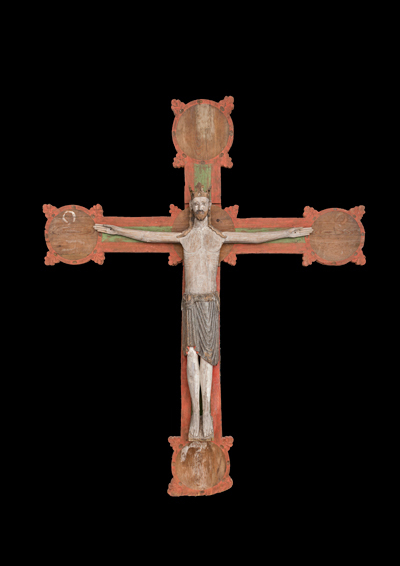 Triumphal cross of broadleaf wood and spruce, made in Stockholm c. 1200. 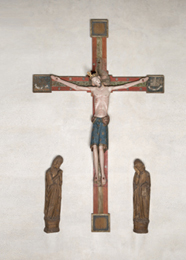 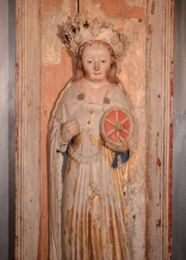 This crucifix shows Christ with a crown and a knee-length loincloth. 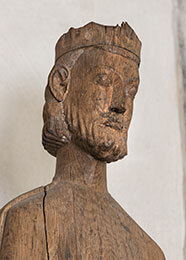 His long hair, calm features and short beard are finely carved and articulated. 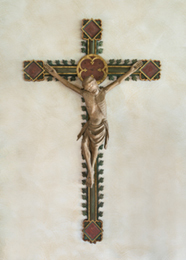 He is long-limbed and slim, and four nails pin him to the cross. 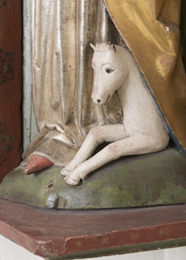 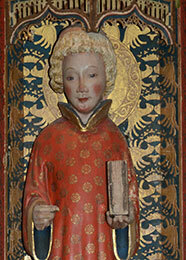 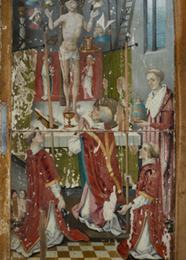 The frontal, straight depiction causes him to stand rather than hang on the cross, and his open eyes and forward gaze show that he is still alive. 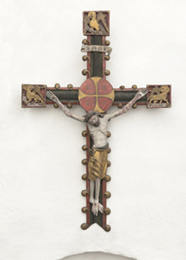 The Latin cross has four end caps which have no significant filling but in all probability once carried the symbols of the four Evangelists. 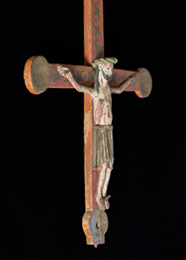 This sculpture is Romanesque in style, showing Christ victorious, symbolising his victory over death and reminding us that he is the king who will come again on the Last Day to judge all mankind. 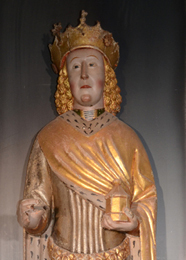 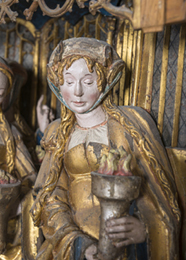 In the course of the Middle Ages this style changed from representations of Christ the King to emphasis on his suffering and death.